A conversation between Ellery and me as she browsed through the Pottery Barn Kids catalog we received in the mail, en route to ballet. Ellery: Wow Mom, this doll house is really cute. I wish I could have it. Me: I will look when I am not driving. But I think it is pretty expensive. Ellery: (Gasps) Wow that is really expensive. 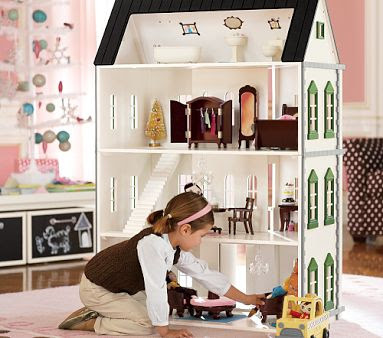 Me: Yes that is a dollhouse only for people who are very, very rich. We are not very, very rich. Ellery: Yeah. We would only be that rich if dad worked on Saturdays and Sundays too. There seems to be a bit of "fuzzy math" in our family. Don't mind the political allusion. Tomorrow is Election Day. Boy don't you just enjoy the innocence of children?